We move to the left side on the infield now in our fantasy baseball tiered rankings analysis with the third base position. The 2019 baseball season is already here! 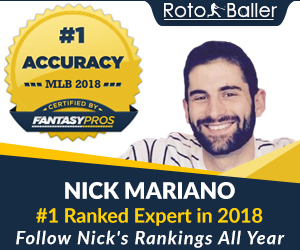 RotoBaller writers Nick Mariano, JB Branson, Bill Dubiel, Pierre Camus, and Scott Engel want to make sure you are prepared for last-minute drafts, so they have given their preseason rankings a final update. 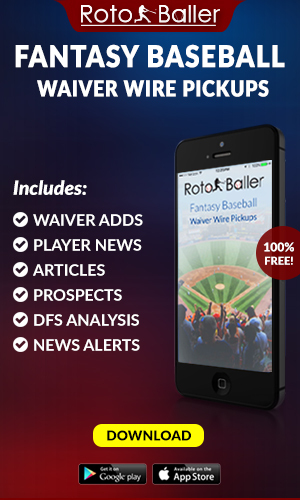 Check out our fantasy baseball rankings dashboard for a current list any time. Third base might be your first priority on draft day, as it's a good place to find some true power/average options. This position can seem a bit top-heavy but there is value to be found up and down the rankings. 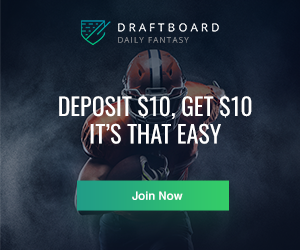 Some of these players also qualify at other positions, so you can approach this list with a decent amount of roster flexibility in mind on draft day. Without any more delay, let's break down the 2019 third base rankings for March. There isn't a ton I can say about the guys in this tier that would come as a surprise to anyone. They are four of the top assets in all of fantasy baseball, each capable of hitting above .300, driving in 100 runs and smashing at least 30 dongs. I am higher on Bregman and Machado than my colleagues, which I'm perfectly okay with. In Bregman's case, I don't think we've seen the best he has to offer, and I'm banking on him taking it to the next level this year. He's improved every season he's been in the bigs by almost every measurable metric, and last year he busted out a legitimate MVP-level season. With a walk rate higher than his strikeout rate, the capacity for 15+ steals and a prime position in one of the best lineups in baseball, Bregman has a terrific chance to be the top third baseman this year, and every year for a while. Machado certainly is in a worse ballpark now that he's a Padre, but he's about to be at the core of an up-and-coming offense for the next couple years. Let's be honest, he wasn't exactly thriving in Baltimore. He's got a better chance for runs and RBI this year, and as an annual 30-15 threat with a declining strikeout rate, I see nothing but upside here. I fall right in the middle on Kris Bryant, and that's probably an apt position as I'm not sure what to believe with Bryant. He's likely going to play at an All-Star level for the next decade or so, but the power was down a bit last year. It's perfectly logical to chalk that up to his multiple DL stints for a shoulder injury, and I'd fully expect a bounce back in that department. Still a solid candidate for 100 R, 100 RBI and a batting average right around .290 or so, Bryant falls just barely outside of my top 30 players. I'm highest on Matt Carpenter, and I'm not sure why that's the case. The 33-year-old veteran offers one of the highest floors at the position--he's logged 560+ at-bats in six straight seasons, is a lock for 20 homers and 90 runs, and he's hitting at the top of a rock-solid lineup. Carpenter went on an absurd power surge during the summer last season and finished with a career-high 36 homers. While I don't expect him to hit that mark again, I think 30 homers in a perfectly realistic expectation for him. 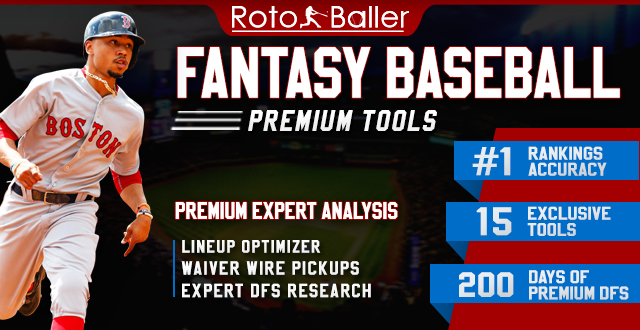 I value safety in production highly, and Matt Carpenter is one of the safest bets you can make on draft day. I may yet move Josh Donaldson up before the season truly kicks off (not ignoring the series in Japan, of course). The Bringer of Rain is now in Atlanta and will be hitting right in the meat of one of the better lineups in the NL. Most of Donaldson's 2018 was lost due to injuries and their lingering effects, but prior to that, he cracked 33 homers in just 113 games. Now back at full health (in theory), Donaldson should be a lock for at least 30 homers, 100 runs, and 90 RBI. I've been grabbing him everywhere I possibly could because the slugger could be one of the better values you'll get for power numbers. I've seen a bunch of hate for Wil Myers this offseason, and I'm just not on board the train. His 2018 was underwhelming in the sense that he only managed to stay healthy for 83 games, but in those games, he still managed 11 homers and 13 stolen bases. If Myers is able to stay healthy for at least 500 ABs, he's a lock for a 20/20 season, which is still rare to find in these days of the dying steal. He's also hitting cleanup behind Ian Kinsler, Manny Machado, and Eric Hosmer, so 500 ABs gets him a good crack at 100 RBI as well. 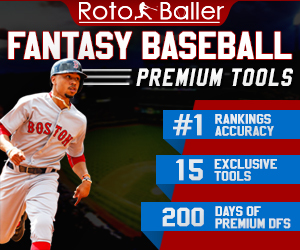 The former blue-chip prospect is prone to slumping, but over the course of a season, he can be a great asset for any roto squad. I'm highest in the group on Matt Chapman, and I stand by that ranking. Chapman quietly had an All-Star-type 2018, and any of his accomplishments will likely remain quiet as long as he plays in Oakland. Use that to your advantage and grab him where you can, because the power there is real. Chapman has hit a .230+ ISO in both of his big league seasons and is only just scratching the surface of his overall hitting abilities. He'll likely hit out of the second spot in a young and talented Oakland lineup, with the only real knock against him being the cavernous ballpark in which he plays his home games. Let others fret over that--just go after the talent. So uh, where did Max Muncy come from? The surprise slugger had one of the more impressive power seasons in the majors last year, smashing 35 homers in just 481 at-bats. He also tacked on 75 runs, 79 RBI and walked at a highly impressive rate of 16.4%. There aren't very many things to suggest that this isn't somewhat sustainable production. While I certainly don't think he's capable of hitting that many homers again (his 29% HR/FB ratio is NOT sustainable), this is a guy who's going to have a very realistic shot at 30 homers, 100 RBI and 100 runs scored if he starts a full season. I'm lowest on Rafael Devers and I'm okay with it. The 22-year-old phenom has shown the exact opposite of plate discipline so far in his young career, and I think that's going to hamstring him until he can prove that he's capable of adjusting. His 7.8 BB% last year (and the 7.5% from the year before) are cringe-worthy marks that he will need to fix if he is to become a regular asset. Fortunately, that's really the only big thing he needs to work on. As the third baseman in a top-three offense, the counting stats will be there if he can just get that patience down. I'm also apparently lowest on Mike Moustakas still. He's hopped on the launch angle train in the last couple seasons, and as a result, he's seen a sustainable increase in home runs. Swap out Kaufmann Park in Kansas City for Miller Park in Milwaukee and you've got a recipe for some nice power numbers. He'll likely hit at the tail end of the meat in that lineup, so you can pretty much bank on 30 homers and 100 RBI if he's able to stay healthy all year. Nothing much else to him though stat-wise; won't kill your average, but won't help it, no steals, OBP will be middling, runs will be middling. From the third base position I'm looking for more upside than what Moustakas brings to the table, and I always end up having one or two long before Moustakas' name comes up. I love me some Joey Wendle. The rookie essentially lucked into a starting job thanks to injuries, and he did not give anyone any reason to doubt the decision. He hit .300 across 545 at-bats while also stealing 16 bags, and while there isn't a ton of power in his profile you can certainly work with the elevated average and some speed. His .353 BABIP probably means there's some regression coming to the batting average, but even if you step it down a little bit you're working with a very usable number. I'd love to rank Nick Senzel higher, but I'm still a touch worried about what that playing time crunch is going to look like in Cincinnati. The uber-prospect certainly has more upside than Scott Schebler or Matt Kemp, who he's competing for starting time with, but I don't foresee it being as simple as one guy getting a majority of the time. Down the road, Senzel is a guy with legit 20/20 potential, but this year isn't going to be his breakout year. I really hope Ryan McMahon gets a starting job (and he's currently RAKING in spring training) because he's got the makings of a fantasy stud given the home ballpark. McMahon's power stroke should be perfectly suited to take advantage of the high altitude, and he's even got a bit of speed to match it. He's going to need to cut down on the strikeouts a bit to carry any long-term roto value, but for this year he's a terrific flier if you're looking for power--especially with his multiple position eligibility. Jung Ho Kang recently won a starting spot on the Pirates, and we're going to be forced to take notice. He's got legitimate 25-homer pop in his bat, and he certainly won't crush your average. With the sub-par lineup around him counting stats are going to be hard to come by, but Kang's time away from baseball is going to have him under most people's radar. Take a flier on him and enjoy the cheap power.